Holidays can be a difficult time to navigate your emotions on many levels. Meditation and yoga asana was my saving grace after the deaths of my oldest brother and father. I’m extremely grateful that over the past 20+ years, I’ve had the support of family, friends and of course, my yoga. This year I wanted to share a collection of practices that will provide comfort when things get difficult, but I also included a few personal must-haves which add an extra layer of LOVE to my life! 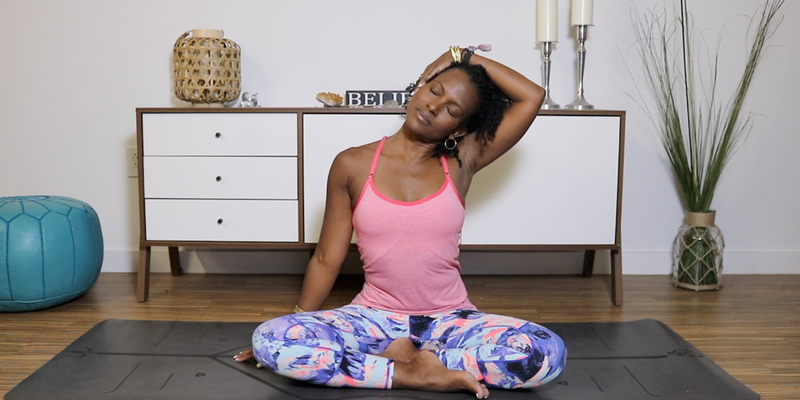 Below are 3 soothing practices designed to release tension, help you manage stress and comfort the heart. Meditation is an essential part of my personal practice. As you know, taking a few moments every day in stillness provides clarity and calms the nervous system…especially during the holidays. Herbs, oils and natural remedies have been an essential part of my life since childhood. Over the years I’ve incorporated them into my daily life, and now I’m blending them into my longer workshops and retreats. Below are some of my favs for grounding and realigning body and mind. Click the link to order as a Wholesale Customer. Balance (doTERRA’s grounding blend) provides me with a sense of calm and a grounding sensation when I feel disconnected to my center. In the morning, I rub some on my feet and add a few drops to my diffuser as a way to cultivate inner balance. Serenity (doTERRA’s restful blend) is my number one choice for creating a calm and soothing atmosphere. With ingredients like lavender, cedarwood and chamomile, I add a few drops to my diffuser and rub a little on my wrist and neck. In those anxious moments, I immediately reach for Peace (doTERRA’s reassuring blend). The roller ball fits perfectly in my purse, and it’s perfect when I’m traveling and dealing with a stressful situation. As you may know, music is water to my soul. It lifts me up, calms my nerves and rocks my hips when I need a good “dance party.” Enjoy these personalized playlists I created on Spotify. Lunar Movements: very relaxing and soothing. Spiritually Fly Mala: 108 sacred rudraksha beads soft lavender amethyst, quartz crystal and sparkling 22k gold accents. I love wearing this during meditation or when I’m teaching a group of women. Intention Beads: Intention Beads are millefiori clay beads handmade during powerful astrological transits, creating a talisman to help you manifest a desire, prayer, or intention. The most powerful in helping you achieve your own unique intention is the Personal Intention Bracelet. The bracelet is created using your astrological birth chart and includes color personalization as well as an astrological consult with Sandy. I’m happy to say I own two beautiful bracelets! East West Prism Necklace: Depending on my vibe, I opt for the Labradorite and Moonstone necklace. Each unique qualities, but overall they provide me with clarity, balance, and strength. Use promo code FAITH to receive a 15% off anything on the site. 30-minute Astrology Reading + Orbit Necklace: Receive a 30-minute astrology reading with my personal astrologer, dear friend, and Tribal Mama, Sandy Rueve for $60 ($90 value). During your reading, Sandy will match you (or your gift recipient) with the perfect Orbit Necklace for their current intention. Sandy is the creator and owner of Intention Beads and She-beads. Use promo code ILOVEFAITH! 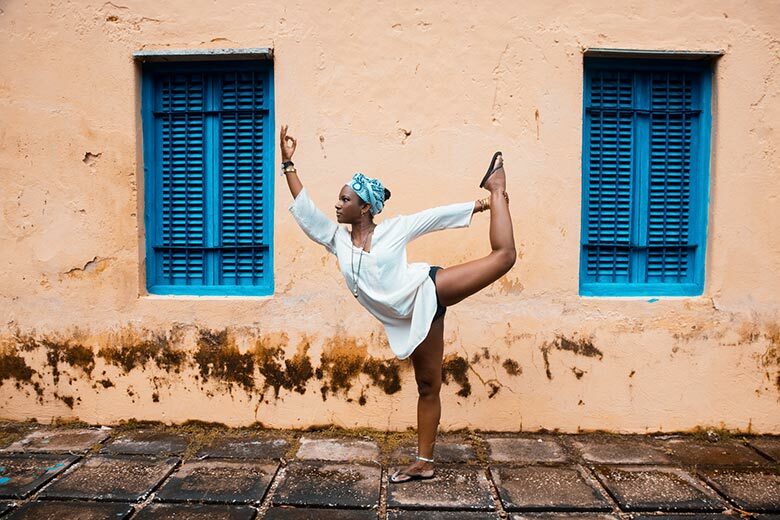 Join me in DC at Embrace Yoga DC, or spend NYE with me at Kripalu Center for Celebrating Your Fierce Inner Goddess! It was a joy pulling this short collection of resources together. I hope you find value in these offering and please share with your family and friends!